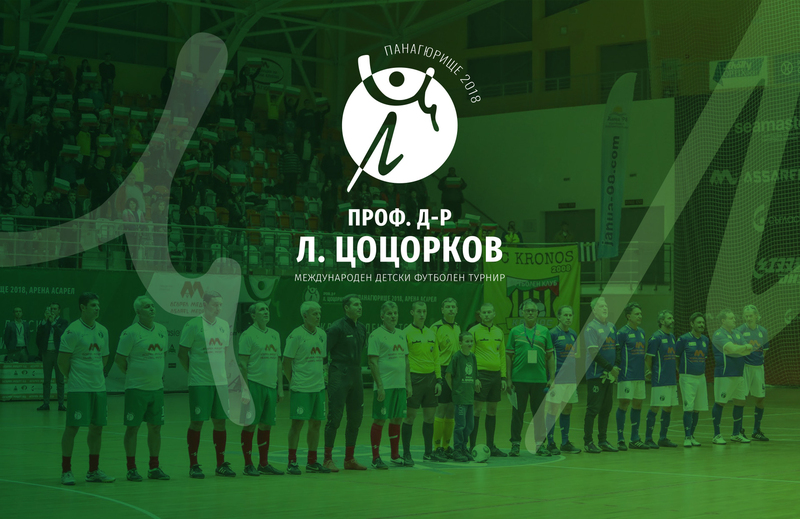 The first in Bulgaria International children’s football tournament in the name of the most prominent citizen of Panagyurishte - Prof. Dr. L. Tsotsorkov and the “All stars game” with Italian and Bulgarian football legends took place on the 4th and 5th of December in Arena Asarel hall. The legends who were part of the star event were Franco Baresi, Maurizio Ganz, Stefano Tacconi, Moreno Torricelli, Salvatore Schillaci, Diego Ficarra, Stefano Eranio, Georgi Ivanov – Gonzo, Nasko Sirakov, Tsanko Tsvetanov, Iordan Gospodinov, Asen Karaslavov, Boncho Genchev, Emil Kostadinov, Doncho Donev and Georgi Slavchev. The aim of the tournament is to become a traditional one, inspire the children in professional and mass sports and develop the sport in Panagyurishte. 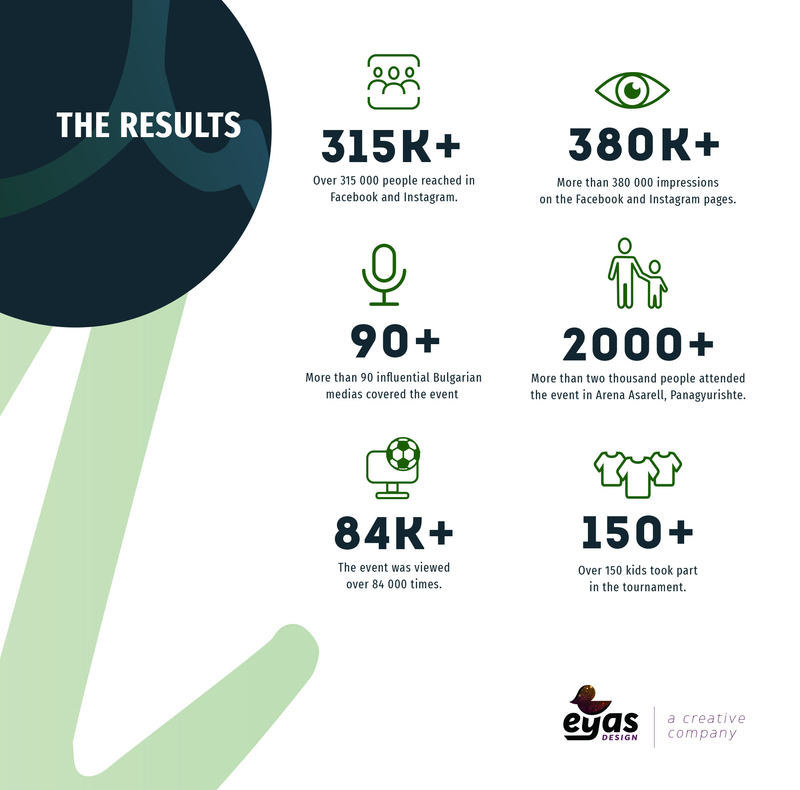 EYAS Design was responsible for the creation and the develop of the logo design, brand identity, the whole organization of the event, web site, billboards, press walls, strategy, online campaign, media planning, and online advertising. We created an unique logo, that is also going to be distinctive for similar events that we expect in the near future. We incorporated the initials in the totem by creating an image of an winning athlete, who crosses the marathon ribbon. 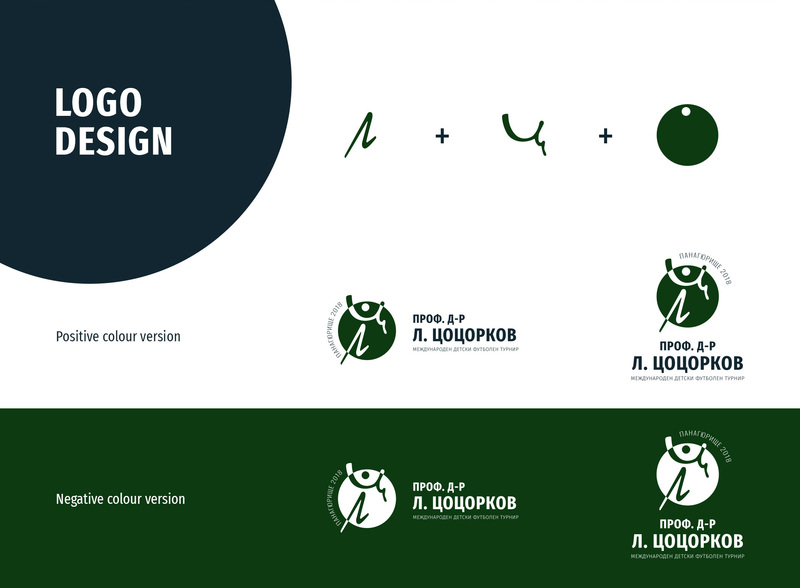 The task in front of our team was to build an entirely new brand that is in balance with the fascinating nature and unique identity of Panagyurishte. In the development of the identity, our team created a Press wall for the Press conference, badges, folders, invitations, a whole in and out branding for the Arena Asarel hall, t-shirts, envelopes and kits for the players. The Web site, that we created, is made to be easily used. Most importantly, it has CMS and blog section. Its responsive design makes it easily visible thru PC and mobile devices. The website contained a form for online enrollment of the participants and was also giving live results during the game days. The hard task in front of our social media team was to create a social media community for a very short time – in about a month. We have successfully collected thousands of followers and tournament-based users to contribute to the high scores of the games we have organized. The social networks Facebook and Instagram were one of our main channels for communicating with our target audience. There we posted news and photos around the tournament, as well as live coverage of the results of the football matches. We were able to create an event, which managed to collect over 2000 people for a period of three weeks and to fill all of the seats in the Arena Assarel hall. We developed the whole posting strategy on Facebook and Instagram, reaching powerful results with our campaigns. We managed to attract the attention of more than 90 influential Bulgarian medias, that covered the event on their websites with millions of readers. The biggest sports media in Bulgaria – Sportal and the popular TV channel – Kanal 3, live streamed the spectacular “All stars game”. 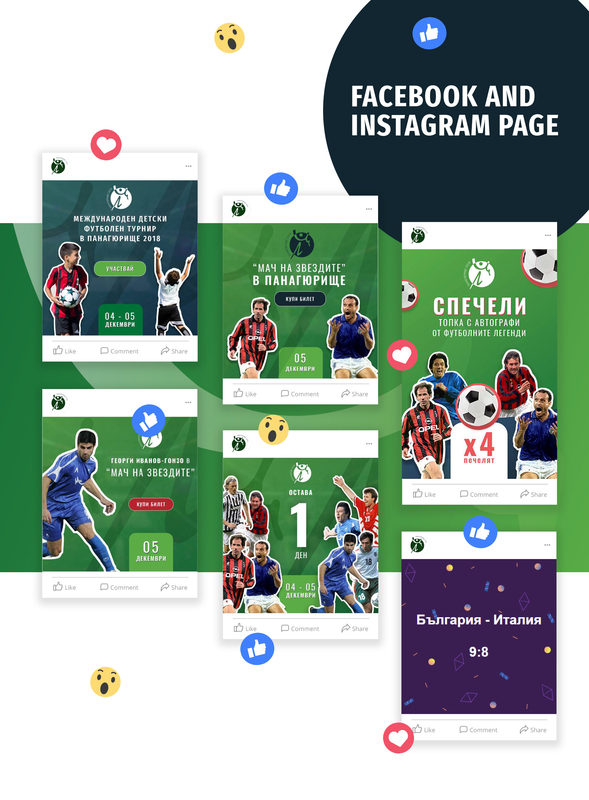 The live broadcast of the “All stars game” managed to attract a huge part of the Bulgarians, bringing them into the world of football and giving them the opportunity to experience the magic of the game.